The name Stalybridge derives from 'Staef' - a stave - and 'leah' - a clearing in the wood, the full meaning of 'Staley' being 'a wood where staves are collected'. The 'bridge' was added a century later. 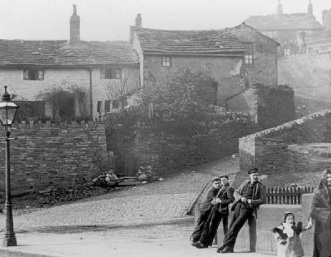 Prior to 1750, the population of Stalybridge was sparse. Between 1700-1750 the villagers numbered no more than 140 at any one time, earning a living in a dual capacity as farmers and weavers. 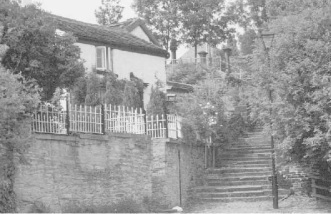 They lived in cottages such as those still existing at 'Bohemia', constructed in 1721. Some of them would have had loom-house attached where as many as six to eight spinners worked to supply one weaver. The Saddleback Bridge built in 1707, which replaced earlier versions, still stands over the River Tame. The bridge across the river enabled travellers to pass from the parish of Ashton-under-Lyne to the parish of Mottram in Longdendale. 'Bohemia' cottages, constructed in 1721. 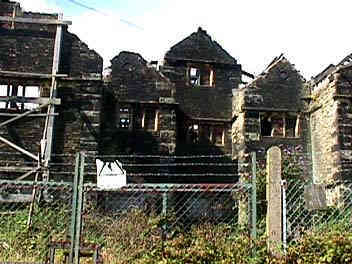 Stayley Hall was erected in 1343 and 1745 The Stavelegh family were Lords of the Manor. 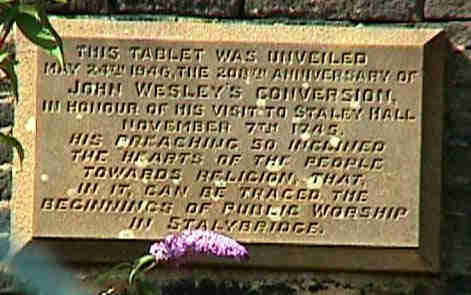 John Wesley preached at Stayley Hall. 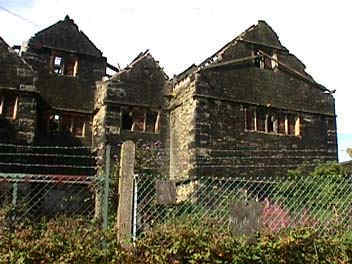 Over the last century, the hall became derelict and has since been re-developed into new housing.